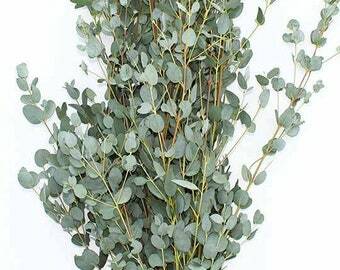 Choose from FRESH, PRESERVED, or DRIED of our fragrant blue-silver-green baby blue spiral eucalyptus! 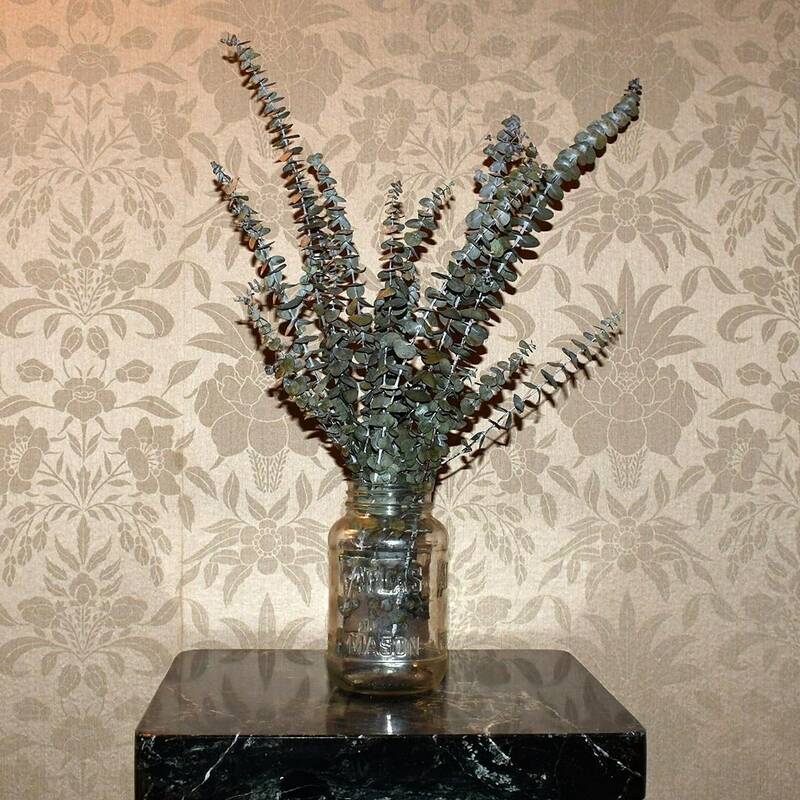 Chic, textural, and eco-friendly interior decor - decorate your home or office with these gorgeous eucalyptus stems. Or surprise your friends and family with this unique, lovable, and useful gift! 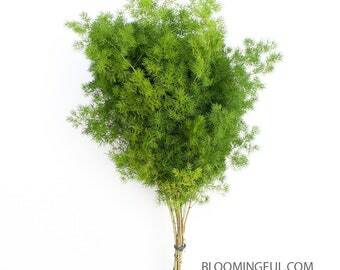 Very popularly used in wedding and event flower and greenery arrangements. Adds a beautiful blue-green-silver color, texture, and volume! Include in your flower or greenery arrangement, or simply alone in a vase. 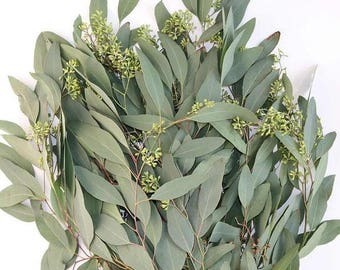 Our fresh bunches are very commonly also used in the shower for the eucalyptus's aromatherapeutic benefits. Bunches are cut-to-order and made-to-order. 100% Quality Guarantee*, full details below. 🌿 FRAGRANCE: Preserved bunches may have fragrance. 🌿 AVAILABILITY & PRODUCT VARIATION: Year-round availability. Slight seasonal variations may occur. 🌿 Preserved bunches are also flexible, and easy to work with, decorate, or arrange, similar to fresh bunches. Wonderful for long-lasting and versatile home and office decor! 🌿 Processing Time: Please note that our preserved bunches may take up to 1 month for processing/preserving. Our bunches are preserved upon ordering and our preservation methods use natural plant functions that we cannot easily "speed up". If you require your preserved bunches immediately, please let us know. 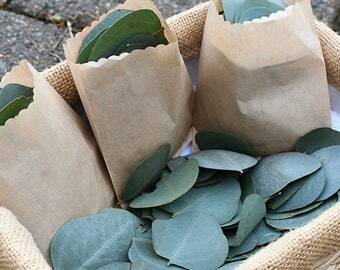 🌿 COLORING: Similar coloring to fresh eucalyptus but color may be a bit lighter. 🌿 FRAGRANCE: Dried bunches may have fragrance. 🌿 Dried bunches are a little flexible for decorating or arranging, but they are fairly fairly brittle. 🌿 FRAGRANCE: Seasonal fragrance. Most fragrance (August to September), Medium fragrance (March to July), Least/No Fragrance (October to February). Oils are in leaves year-round for therapeutic benefits, whether fragrance is present or not. 🌿 AVAILABILITY & PRODUCT VARIATION: Year-round availability. Seasonal variations may occur. 🌿 Fresh bunches have flexible stems and are easy to work with, decorate, or arrange. 📆 EARLIEST DELIVERY DATE: Next-day delivery available when order placed by 6am PST (based upon availability). If after 6am, please message us to see if we can still it out to you for next-day. 📆 ADVANCE ORDERING & PRE-ORDERS: We encourage pre-orders (advance ordering) whenever possible to ensure product availability for your wedding or event date and it also allows you to check it off your list! Pre-ordering is when you order now and request a future delivery date. We accept advance order up to 12 months in future. Please include your requested future delivery date in the Notes to Seller box during checkout. 📆 Delivered direct to you, on date you request. Upon shipping, you will be sent a tracking number with real-time tracking information. 📆 DELIVERY DAYS: Tuesday through Saturday, excluding holidays. Saturday delivery may require an additional fee. 📆 RECOMMENDED DELIVERY ADDRESS: We recommend delivering it to your daytime address (usually a work address) so that you (or someone) is available to receive the package at delivery time. Please make sure to include company name and suite number. 📆 PROCESSING TIME: We usually process next business day but please allow up to 5 full business days processing time before shipping. Dried bunches may require up to 10 business days for processing. Preserved bunches may require up to 1 month for processing. 📆 EXPEDITED PROCESSING: If you require expedited processing, please message us to see if we have the product available for expedited processing. An expedited processing fee and/or shipping fee may apply. 📆 SHIPPING SPEED: Express shipping (1 to 3 business days) is our standard shipping for this product. Shipping upgrades (to 2-day and 1-day) are available during checkout. Dried orders may also be shipped by FedEx Ground or comparable shipping service. 🌿 We encourage pre-ordering whenever possible! Many customers pre-order or place their order in advance to reserve availability and to check it off their list. Important -- Many of our products sell out several weeks or months in advance, especially for wedding season and holidays. 1. You place your order now and request a future delivery date up to twelve months in advance. 2. Please include your future delivery date request on the order notes when you are completing checkout (if in doubt, send us a message with the requested delivery date). 3. Regardless of when you place your order, we will always ship out fresh product to you for your required delivery date. 🌿 100% QUALITY GUARANTEE = We ship out super fresh premium product and fully stand behind our product. 🌿 Signature required upon delivery; no signature will void Quality Guarantee. If no one is present at time of delivery, shipping carrier will generally leave the package for you or will provide details on how to get the package at the local shipping station. 🌿 Due to the perishable nature of the product, product must be appropriately cared for upon delivery. If there are any product concerns upon delivery, please contact us in writing (by Etsy message) within TWO HOURS of the delivery detailing any concerns and providing images of the concerns. 🌿 Once your package is transferred to the third party shipping carrier, we are not responsible for delays caused by the carrier, lost or damaged packages, and/or agricultural holds. These problems rarely occur, but if and when they do, we will provide contact information and claim information to make a claim for your package with the third party shipping carrier. A requested delivery date 2-3 days prior to your event will help minimize any shipping problem should one occur during shipment. 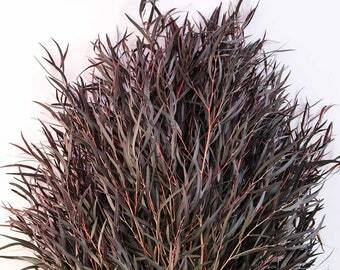 This eucalyptus generally and seasonally has a strong fragrance and is often used for aromatherapy. BUT please note that while this type of eucalyptus is generally very fragrant and we make a conscientious effort to send fragrant bunches, we do not guarantee that each bunch will be fragrant or the strength of the fragrance of each bunch. This is because eucalyptus is a natural product and each plant/stem varies, also because each person perceives smell and fragrance differently, and we cannot verify fragrance electronically and so we unfortunately cannot honor any refund, return, or exchange a bunch for fragrance concerns. We also do not guarantee the extent of aromatherapeutic effects/results or any medical results and we will not refund or replace the product if product does not provide the extent of aromatherapeutic effects/results or medical results for which you purchased product. ** These effects have not been evaluated by the FDA and this product is not intended to diagnose, treat, cure or prevent any disease or medical condition. Aromatherapy and fragrance benefits in fragrant bunches. Additionally, each individual may respond or benefit differently, or not respond or benefit at all, to the beneficial properties of eucalyptus. 🌿 We have been providing industry leading flowers and greenery/foliage for years for weddings, events, special occasions, DIY projects, gifts, or for personal use. 🌿 Our flowers, fillers, greenery and foliage come super fresh direct from our award-winning farms with accolades for premium quality, freshness, and consistency. 🌿 Feel confident and relaxed that your flowers and fillers will be of top quality for your wedding, special occasion, gifts, or yourself! 🌿 All orders are made-to-order. 🌿 If you are looking for additional floral, greenery, or bridal products that you do not see listed up on our site, please contact us. We have many more beautiful products that we are working on listing up here! We know this is a lot of reading but we hope it is helpful! Please feel free to contact us at any time with any questions you might have! And a BIG THANK YOU for all your support and we hope you LOVE your flowers and greenery!! I ordered the preserved silver dollar eucalyptus and it is beautiful. Thank you!